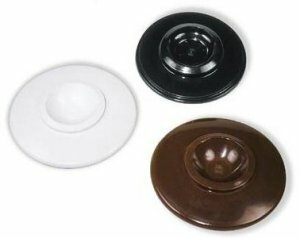 These wood caster cups are perfect for concert grand pianos such as Yamaha & Kawai which have oversized casters. 5-1/2" outer diameter, 3-1/8" inner diameter. Made from selected hardwood. Hard maple caster cups, 3-1/4" outside dia., 2-1/4" inside dia., with felt bottom. These beautiful turned cups are finished in lacquer to blend with any furniture. Price EACH. High impact plastic. Will protect floors and carpeting, and hold pianos firmly in place. 5 3/4" diameter.